The following is a press release from the Diocese of Lancaster, England, announcing a new apostolate for the Institute of Christ the King. 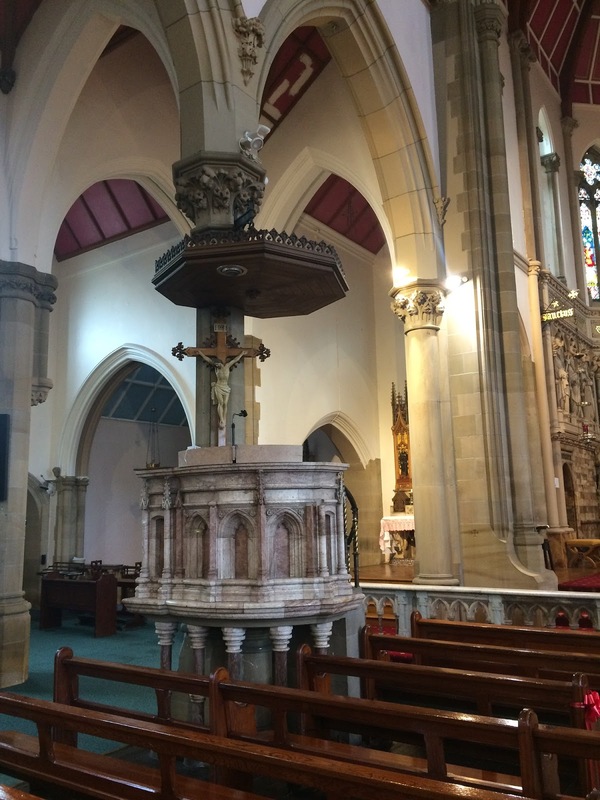 The pictures are reproduced from Bishop Campbell’s blog with permission of the Diocese of Lancaster. Our congratulations to the Institute, and we wish them every success in their mission. 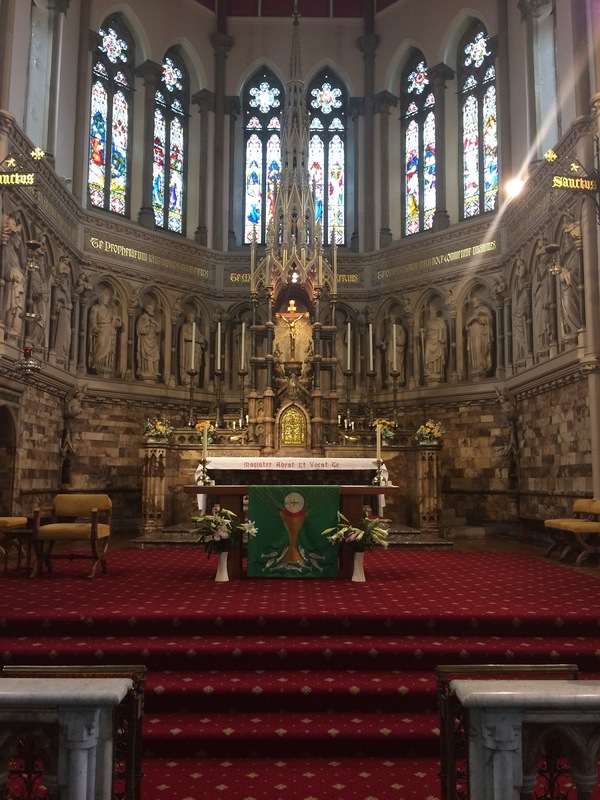 Bishop Michael Campbell and Monsignor Gilles Wach, Prior General of the Institute of Christ the King Sovereign Priest, together with Rector, Canon Adrian Towers, have agreed that, as from the autumn, the Institute will assume the administration of the church. This move will enable the church to be open each day to become a vibrant shrine of devotion to and promotion of the English Martyrs under the care of the Institute who already have the administration of St Walburge’s Shrine Church, Weston Street, Preston. 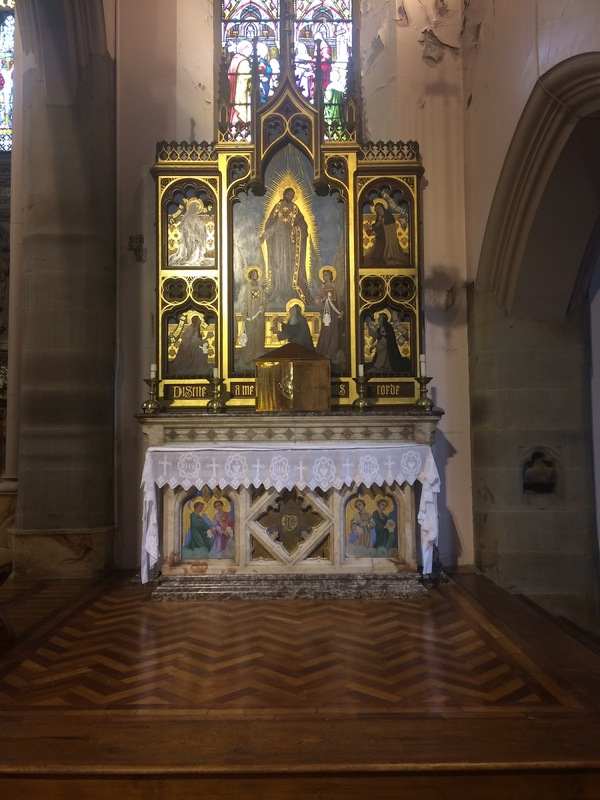 The new shrine will specifically provide for the celebration of Holy Mass and the other Sacraments in the extraordinary form of the Roman Rite. English Martyrs’ Church is one of two church buildings belonging to St John XXIII Parish, Preston – the other being St Joseph’s on Skeffington Road. 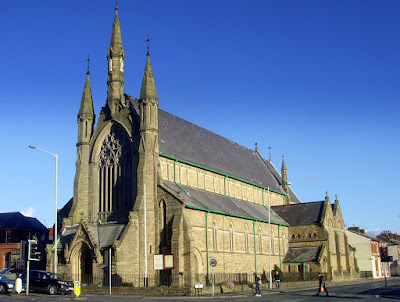 As part of the arrangement with the Institute, English Martyrs church remains part of St John XXIII Parish and a priest from there will celebrate an English-language ordinary form Mass in the church, at least for the next 12 months, each Saturday evening. 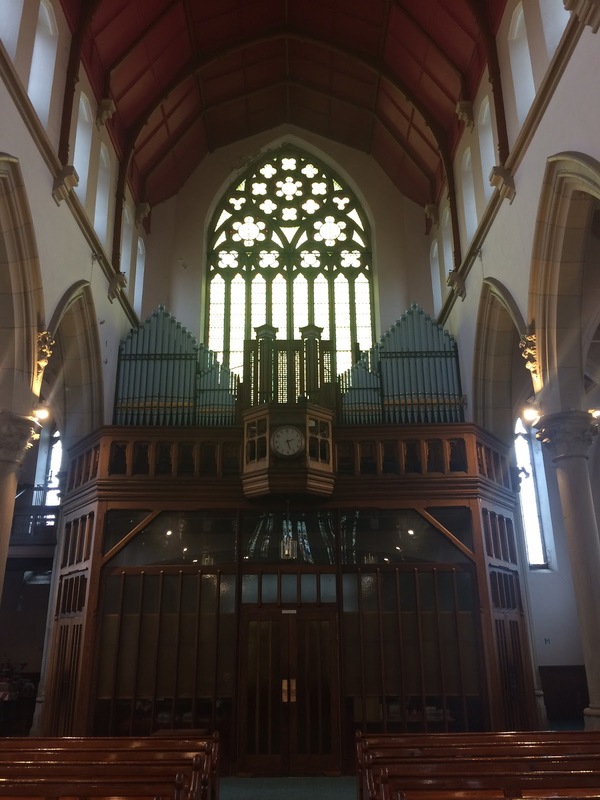 Recently, the Mass attendance at English Martyrs has averaged around 70 people and activities and voluntary parish involvement have become somewhat limited making it difficult for the parishioners to shoulder their responsibility for the care of the church building. 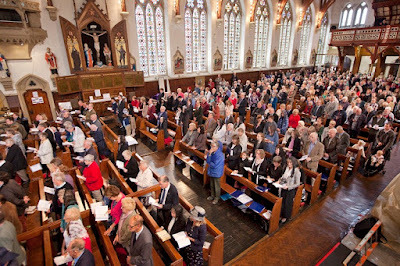 Canon Amaury Montjean for the Institute added: “We are deeply grateful to Bishop Campbell for his gracious invitation. Our entire Institute family is very glad for this new apostolate at English Martyrs. 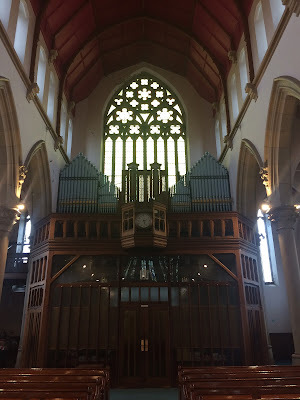 Like St Walburge’s, it will be a unique spiritual home offering Masses with sacred music, daily confessions, days of recollection, classes in spirituality and doctrine etc”. 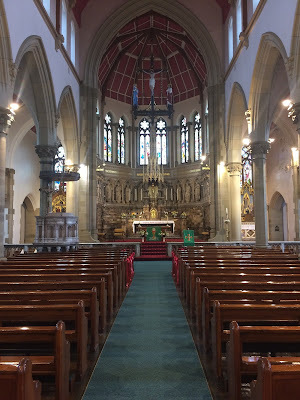 In September 2014, at Bishop Campbell’s invitation, the Institute assumed the care of St Walburge’s Church in Preston, which he then designating as a shrine church. The Institute also has charge of the church of Ss Peter, Paul and Philomena, generally known as “the Dome of Home,” in the Diocese of Shrewsbury.